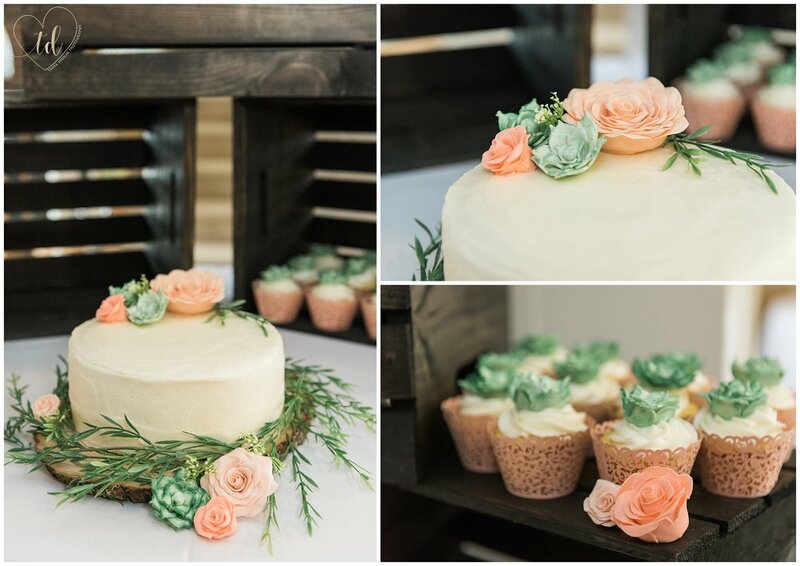 I always knew that succulents (the plants in the centerpieces, the cupcake toppers) were going to play a large role in our wedding. 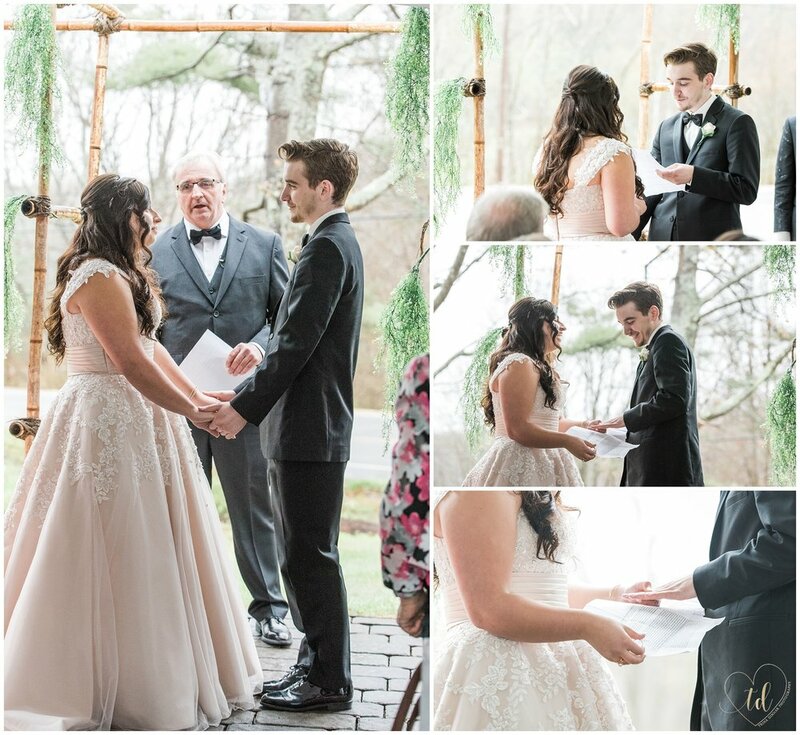 I also knew that I wanted it to be a spring wedding, although I didn't envision the spring showers that came along with it! The color palette we decided on was coral, white, and the green color found in the succulents. Our style vision was clean and romantic, while at the same time having ornate details such as the succulents or the pattern on the wedding dress. Our favorite part was the dancing. Since we don't normally dance we got to see entirely different sides of people and it helped loosen the whole party up. The first dance went off without anything going wrong either, which was a big plus! My husband's grandmother told us afterward that our dance looked like something from the movie La La Land. The bouquet was simple, made from white roses and white oriental lilies. The dress was a part of the wedding that I felt extremely confident in, before I even saw it in person. When I went dress shopping, I tried on a few dresses before I tried on the one, everything was very beautiful but I didn't feel like I did when I put on my dress. I always loved big puffy dresses as a little girl, so it was a dream to be able to walk down the aisle in one. The favors were succulent plants which have covered my room for years, and have always brought me a lot of happiness it seemed almost crazy to not have them as our favors. Our cake and cupcakes were made by some wonderfully talented friends; they put so much effort in months in advance. The cupcakes were lemon with a raspberry filling and chocolate with a mousse inside. The cake was chocolate with mousse and vanilla frosting. Weddings come with a lot of details, some that don't matter in the long run. Focus your attention on the details that really matter to you both and you won't regret it. Also it’s easy to get caught up in all the stress, but on your special day try your hardest to just enjoy it because it goes by fast.